Warwickshire is an area with a long and complex history. Needless to say, the area pretty much has more than its fair share of ghosts and other paranormal activity. Coombe Abbey Hotel was originally built in the 12th century as a monastery and it is as spooky as you might expect from such an old building! Guests choosing to spend the night here may find themselves face to face with either a hooded monk or a young green eyed girl! 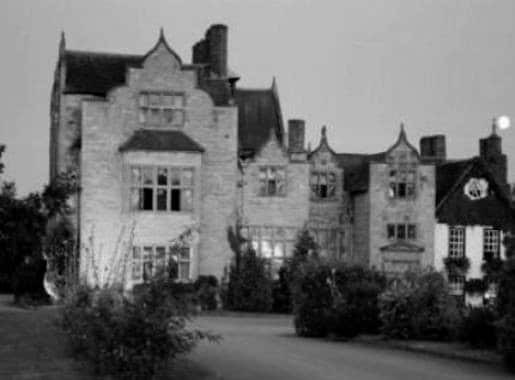 The most commonly sighted ghost at the Coombe Abbey Hotel is a hooded monk who may possibly be the restless spirit of Abbott Geoffrey who was murdered rather brutally on the grounds in 1345. He is often seen wandering the castle grounds in a long cloak and hooded robe at night. He is also said to be the one behind the poltergeist activity that has been reported throughout the house, but primarily in the kitchen! Some have speculated that the Abbott is bound to Earth because he is still searching for his murderer who got away scot free! 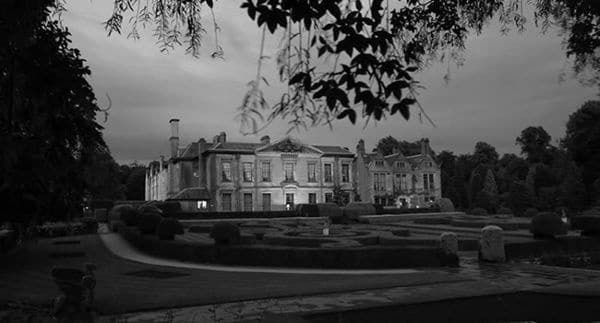 There are also reports of another spirit taking up residence in the Coombe Abbey Hotel and this one seems to be a young girl. Visitors and staff alike have reported their encounters with a little girl with green eyes. It is believed that the young lady, known as Matilda’ was a simple stable hand who captured the heart of the master of the house. However, when Matilda fell pregnant the gentleman refused to acknowledge that he was the child’s father . Eventually, Matilda gave birth but the child was stillborn and she put a curse upon the house stating that any young child born to the house would die young or in terrible circumstances. The curse may well be true since a number of Craven children did die young. Warwick Castle is one location which actually played a very important role in the history of England. However, it is not only famous for this, but also for reportedly being haunted! The original motte and bailey castle was built by William the Conqueror in 1068, but it was replaced with a more substantial stone castle in the 12th century. One of the most haunted areas in the castle is the ‘King Maker’ visitor attraction where many guests have seen strange shadows and heard unexplained sounds such as crashes, moans and bangs! Some of the other well known ghosts at Warwick Castle include a large black dog with blood red eyes and a foaming mouth! There is also the spirit of Sir Faulke Greville who was actually stabbed by one of his own servants while living at the castle. The servant was allegedly horrified by his own actions resulting in him actually cutting his own throat before leaving Sir Faulke to die all alone in the South Tower. Since his death visitors have reported seeing him and hearing him moan and there is also a portrait in the castle which is alleged to depict Sir Faulke’s death! Ettington Park Hotel is set in 40 something acres of stunning parklands just a few miles away from the famous Stratford Upon Avon. 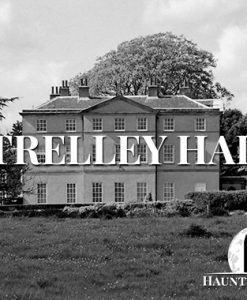 Not only is it a truly beautiful hotel, but it is also considered to be one of the most haunted hotels, not just in Warwickshire, but in the entire United Kingdom. 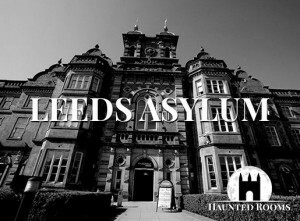 Over the years both visitors and staff have reported seeing an old woman in Victorian clothing, a male spirit and his dog, disembodied voices and phantom footsteps. On Christmas Eve one year there was even a report of a candle lifting up off of a mantle and floating in mid air for several minutes. However, the most well known ghost that haunted Ettington Park Hotel is perhaps the Lady in White. This is the spirit of a woman who is all dressed in white as she glides through the hotel’s corridors before vanishing into a wall which is always, quite understandably, said to startle guests who see it. She can also be found on the veranda most nights at around dusk (Staff have suggested that she could be ‘Lady Emma’ who served as a governess at one time. 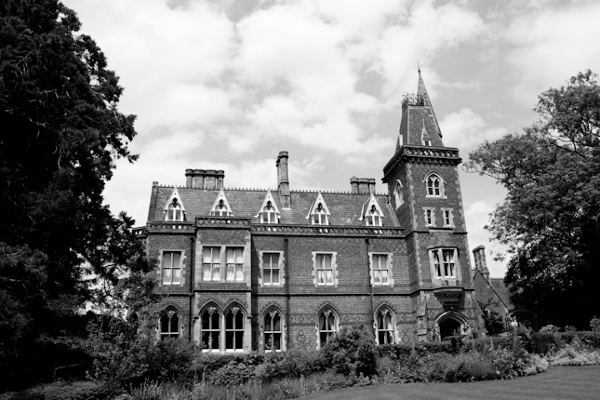 Some of the other ghosts who are said to be haunting Ettington Park Hotel include a grey lady who apparently fell to her death on the stairs, a monk, an army officer and two young boys who drowned in the Stour River. The Old Mill Hotel in Gaginton, Warwickshire is said to be home to the Grey Lady who has been wandering the property for years! The Old Mill actually dates back hundreds of years and ha a mention in the Doomsday Book. These days it has been transformed into a beautiful hotel and restaurant, but the Grey Lady still wanders here. As you might already have guessed from the name, The Old Mill was once a water mill. When it was still in operation it is said that a woman got trapped under the water wheel and drowned. Could it be this woman who is the grey lady seen haunting the hotel? In another spooky twist, during renovation works a mummified cat was found in the walls and was promptly removed. However, at one time this was actually a superstitious ritual designed to offer protection. Each time the cat is removed the hotel is hit with a run of bad luck! Another one of the most haunted places in Warwickshire has to be Brownsover Hall. 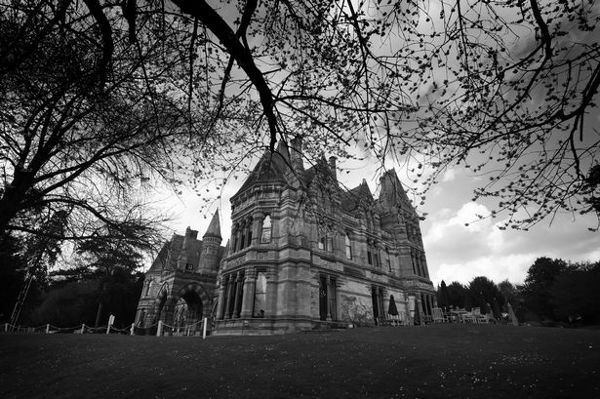 This stunning Victorian Gothic mansion has a long and eventful history and it is now under the watchful eye of a spirit known as ‘One-handed Boughton’ who lost one of his arms in Elizabethan times. One-Handed Boughton has been around for quite some time and we don’t expect that he will be going anywhere else any time soon! Why? You might well ask. Well, in 1755 a group of no less than twelve clergymen were brought to Brownsover Hall in order to rid it of its paranormal entity. At the time, it was declared a success and they tricked the entity into a glass bottle before sealing it shut and throwing the bottle into the lake. However, some time in the 1880s a fisherman found the bottle and opened it. The hauntings immediately returned stronger than ever before. Among the activity in the property, staff and guests have both reported groans, phantom footsteps and disembodied voices all coming from the empty tower that is attached to the building. Salford Hall is a stunning Grade 1 listed building dating back to 1470 when it was constructed as a guest residence for monks from the nearby Evesham Abbey. During Charles I reign, Salford Hall became the family seat of the Stanford Family and it actually remained so until 1812. Needless to say, Salford Hall Hotel is definitely one of the most haunted places in Warwickshire. The paranormal activity at Salford Hall Hotel is rife throughout the property. The majority of the ghosts that haunt here all seem to have some connection to a religious theme. 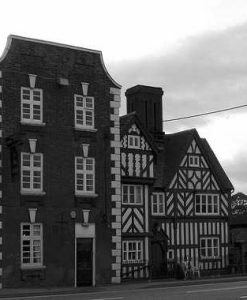 One of the most common spectres to be seen at Salford Hall Hotel is probably the ghostly nun. She is usually seen on the lower floor of the hotel and has been reported by both staff members and guests alike! She is thought to be the restless soul of a nun who was brutally murdered here some time in the 17th century. There have also been numerous reports of a pair of ghostly monks who have been seen walking throughout the hotel. There have also been incidents where two phantom priests were seen in the hotel’s courtyard. The reception area is said to be haunted by a group of small girls who are often heard giggling or laughing despite the fact that there is nobody there. Finally, there is also the apparition of a young stable boy who is usually accompanied by an absolutely foul stench.